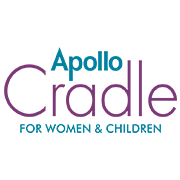 Apollo Cradle Royale is driven by the Apollo Group’s legacy of the last 30 years, of clinical excellence. The highest standards of care are provided to every patient, every mother, every baby and every child. And the facts speak for themselves – the hospital’s five-year safety record is exemplary, to say the least. The hospital attracts the crème de la crème of Consultants. The surgical and nursing teams are among the most experienced in the country. The hospital’s staffing levels are higher than can be found anywhere else and the experience of the nursing teams are second to none.The hospital is constantly focused on improvement through its ongoing programs for skill development and continuous medical education for the clinical teams, regular audits of treatment and procedures and our learning from the feedback of patients. The state-of-the-art medical infrastructure and facilities follow international protocols for safety and efficiency. The hospital’s Neonatal Intensive Care Unit (NICU) is managed by qualified and experienced Neonatologists to care for any newborn who may need intensive care. A High Dependency Unit (HDU) provides the close monitoring of mothers and patients who need extra care. The Apollo Hospital provides the specialist back up for patients in the rare case of a medical emergency. Transfers to Apollo Hospital if required, are very safe since every Apollo Cradle has its own fully-equipped ambulance. Every expectant mother is thoroughly assessed throughout her pregnancy and just pre-delivery to avoid any chance of risk to the mother. Mothers are closely monitored by the Consultants and qualified resident doctors and nothing is left to chance. If a mother is deemed to be high risk, all the necessary treatment protocols are followed to ensure her safety. The culture of safety runs soul-deep in Apollo Cradle. That’s why you and your loved ones are always in safe hands. Took my 5yr old daughter who has acute fever and severe cold. She had this after a long hours of swimming and explained him. Told normal fever and gave one syrup to use for 3-5 days. Felt relaxed. **** ***** ***** **** *** *** in between she had rashes on skin, lip cracks and throat pain. Again visited him, told some viral infection and told me to use calpol for 5 more days. I was facing infertility for more than six months i visited different hospitals but nothing worked for me and my hope of getting pregnant went down and for the next time I decided to visit apollo cradle kondapur after that I met doctor radhika reddy pingili she was patient friendly she gone through my health profile and decided to go for iui process with some normal medication like vitamins and folic acid supplements I got pregnant for the first iui itself and I'm in 2nd month. I was very happy that I was heading a step towards my motherhood. Dr Radhika Reddy Pinglii is an awesome Doctor. She is ever smiling and positive and gives you lots of positivity and confidence . *** ** ************* *** ********* ************ *** ********* *** **** ** *** *****. I had a successful IVF treatment and now I am pregnant. I cant thank enough the Doctor for this happiness. She really does magic and is Goddess for couples like us. Thank you Dr Radhika, you have given us so much and I am forever indebited.